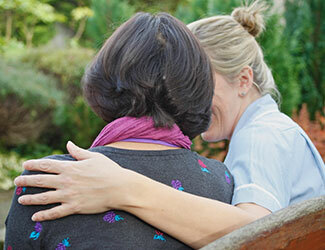 Woking and Sam Beare Hospices operate to provide palliative care and support for patients and their families living across North West Surrey. Hospice care is based on the belief that each person is more than their illness, and that each of us has unique physical, emotional, social and spiritual needs. Woking & Sam Beare Hospices aim to help people achieve the best quality of life they can by responding to the needs of each individual. Providing expert assessment and regular monitoring to relieve pain, symptoms and side-effects of illness. Ensuring care, treatments and therapies are delivered directly, wherever they live, through liaison with other healthcare professionals. 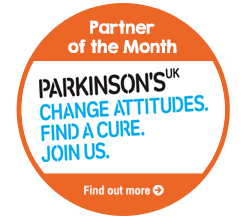 Helping people retain their independence, mobility and sense of control by providing practical help, equipment and advice. Helping to restore self confidence by giving patients the opportunity to meet socially, gain support from others in similar circumstances, and benefit from relaxation therapies. Giving patients and their loved ones opportunities to discuss their thoughts and feelings, which can relieve fears and anxieties. Helping people to plan for the future so that they can enjoy life as fully as possible. Where possible, supporting patients’ carers by providing respite care, giving people a much needed break. Providing open and honest explanation to questions, enabling people to make informed choices and have greater control throughout the dying process. Supporting people as their condition deteriorates, helping families, carers and friends to prepare for bereavement. Providing ongoing support to families and carers in bereavement, from simple practical advice through to counselling services. What makes Woking and Sam Beare Hospices stand out is their highly personal, holistic approach to each stage of this specialised care. This takes time, skill and experience from a multi-professional team who not only work in the hospices themselves but also in nursing homes and in patients' own homes. The charity also provides 24 hour telephone support. There are no charges for these services and all patient care is free, but with joint running costs for both hospices coming in at over £8 million per year, the charity relies on donations and other fundraising activities. Your old car donation could help the Hospices cover their running costs and continue to provide this high-level care for patients and their families.